is continuously looking to attract new talents. At the forefront of innovation, heat recovery ventilators (HRVs) or energy recovery ventilation (ERV) systems transfer heat or coolness from stale exhaust air to fresh intake air. This balanced ventilation solution removes excess moisture, odors, and contaminants while conserving energy and enhancing comfort. 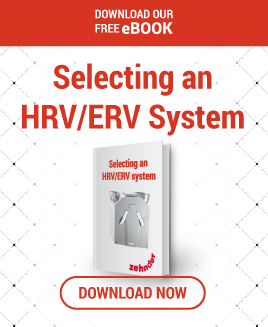 How Does an HRV / ERV System Work? The whole house heat recovery ventilation system works continuously to extract moist, stale air from wet rooms (kitchens, bathrooms and utility rooms) and supply fresh, filtered air to habitable rooms (bedrooms, living rooms, and dining rooms). Up to 90% of the heat in the extract air is recovered by the heat exchanger in the unit and used to heat the incoming fresh air. Installation times vary. On average, people spend 90% of their time indoors, so clean indoor air is essential for optimum health. Sadly, many homes and businesses have contaminated air. Zehnder systems help prevent mold growth by exhausting excessive moisture that is created by showering, cooking, washing dishes, doing laundry, and engaging in other household activities. All molds produce allergens and irritants, and some molds also produce potentially toxic substances called mycotoxins. Although exposure to mold outdoors rarely concerning, indoor mold growth commonly causes health problems in occupants. Immediate or delayed allergic reactions can be triggered by touching or breathing in mold or mold spores. These reactions include sneezing, a runny nose, red eyes, an asthma attack, and a weakened immune system. 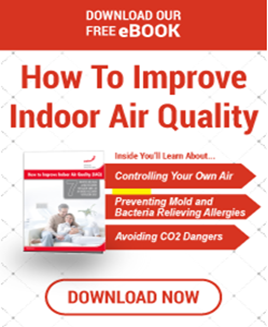 Although the connection between indoor air quality and health issues such as asthma, allergies, and respiratory ailments is common knowledge, the importance of indoor air quality for cognitive function is less understood. Recent workplace studies have demonstrated that indoor air quality affects the ability to concentrate, mood, and anxiety, and longer exposure can even lead to personality changes, impaired memory, and slower cognitive function. The two best strategies to boost air quality are to keep contaminants out and to dilute airborne pollutants with a mechanical ventilation system. Zehnder HRV systems use filters to remove many pollutants from the air before it enters homes and commercial spaces. High-MERV filters can stop even small particles, including pollen, bacteria, smoke, smog, and mold spores, from entering your home or business. HRV and ERV systems are also designed to exhaust air specifically from bathrooms, kitchens, and utility rooms, where most home pollutants (fumes, particulates, and excessive moisture that can cause mold) originate. Most ventilation systems drive up heating and cooling costs while decreasing indoor comfort. Much like venting a room by opening a window, ventilation systems can degrade energy performance because they exhaust air without capturing the heat. Because exhaust fans need makeup air to operate properly, they pull in unconditioned air through gaps and cracks in the building exterior, creating drafts. This has a huge impact on both comfort and energy costs! HRV and ERV systems conserve energy, lowering utility bills. The heat from the exhaust air is transferred to the incoming air via a heat exchanger. Zehnder heat recovery ventilators are up to 95% efficient, saving energy. This also helps reduce the size of the HVAC equipment needed because it doesn’t have to work as hard to heat and cool when the intake air is conditioned by the HRV unit. The Passive House Standard, a voluntary standard for ultra-energy-efficient homes and buildings, is at the forefront of energy conservation. In fact, projects built to this standard are 80% more efficient to heat and cool than a typical new building built to the minimum building code requirements. Most Passive House projects feature an ultra-energy-efficient envelope with continuous insulation and meticulous air sealing. Passive House construction in colder climates typically requires triple-pane windows, generous amounts of insulation, and heat recovery ventilation. Because little air is allowed to leak in or out of the building, a mechanical ventilation system is essential to protect indoor air quality. Certified Passive House buildings now account for 2 million square feet of building space in North America, a threefold increase over 2015. Several jurisdictions have policies that support Passive House and other high-performance construction methods, and a growing body of professionals have been trained in Passive House design and construction. Zehnder heat recovery and energy recovery ventilators systems are certified Passive House components and are widely used in Passive House projects, including mixed-use buildings, new homes, and retrofit projects. 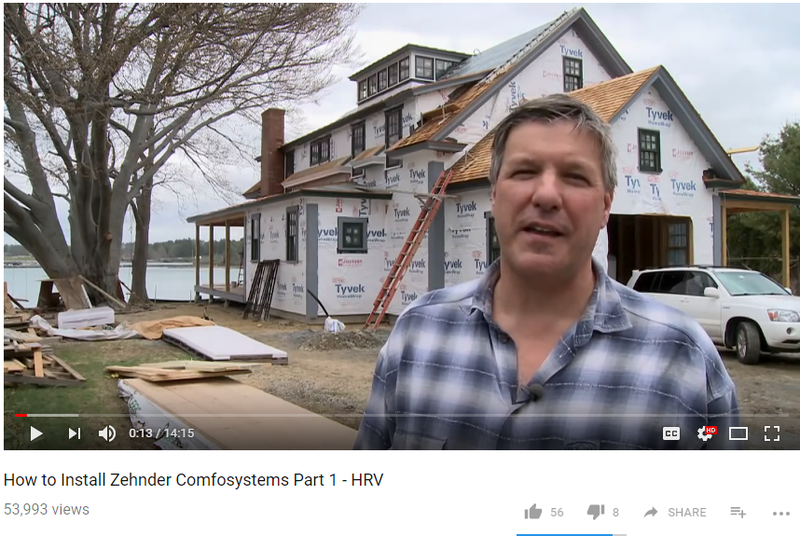 Because they are the most efficient HRV units on the market, they are a favorite among Passive House builders, architects, developers, and engineers. Building codes vary by location, so it is difficult to anticipate the exact price premium. The load requirements for the heating and cooling system, however, are greatly reduced or possibly eliminated when following the Passive House standard, cutting the cost of the HVAC system. Also, the operation and maintenance costs of a Passive House are typically much lower, because of the decreased utility costs and the durability of components. 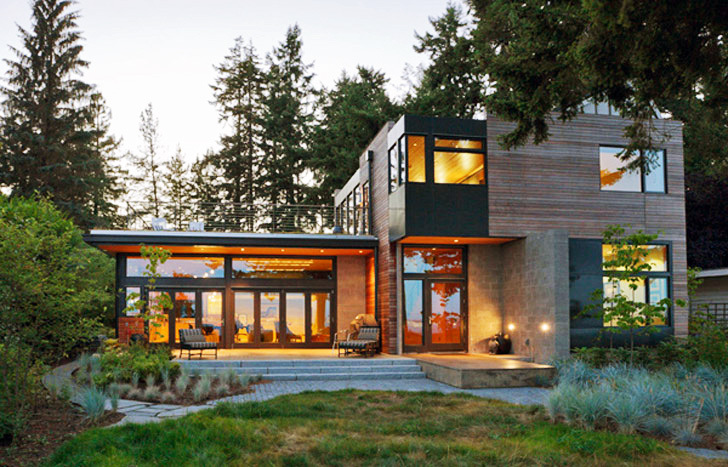 In addition to the Passive House Standard, HRV systems are commonly found in other types of green buildings, including those with Leadership in Energy and Environmental Design (LEED) certification. As a prerequisite in the LEED for Homes program, a project must “design and install a whole building ventilation system that complies with ASHRAE Standard 62.2-2007,” a standard developed by the American Society of Heating, Refrigerating and Air-Conditioning Engineers that details ventilation rates and strategies for healthy homes. Proper HRV system sizing, design, layout, and commissioning are essential for optimum HRV function and durability. It is essential that the ventilation and HVAC systems are separate and do not share ductwork. This ensures proper airflow rates and energy efficiency. Zehnder ventilation experts are available to help design the best system for a given project, including sizing the HRV system and laying out the ducts. Builders and HVAC professionals appreciate that Zehnder offers technical support, making the systems easier and quicker to install, even for professionals who aren’t experienced in HRV installation. Properly installed and commissioned ventilation systems are significantly more effective in improving air quality. Imbalanced systems can decrease the efficiency of an HRV from around 90 percent to around 60 percent, resulting in four times more energy loss. Commissioning a Zehnder system with a trained professional can also extend the life of the equipment and reduce operating costs for years to come! Zehnder manufactures its own components, allowing systems to be seamlessly integrated into homes and commercial spaces. Zehnder components are designed for ease of installation and system longevity. Zehnder’s semi-rigid tubing is ideal for long duct runs and can be curved over and under obstacles, including joists and pipes. This eliminates the need for straight duct runs and dramatically decreases the number of joints, saving both time and money. 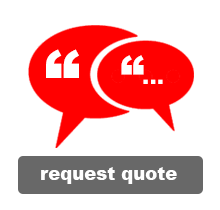 Watch some of our installation videos here. There are a variety of residential and commercial applications that are ideally suited for HRV and ERV units. Some local building codes require heat recovery ventilation to promote indoor air quality and energy efficiency. Other projects with tight building enclosures and energy-efficiency goals require heat recovery ventilation to ensure adequate indoor air quality and energy performance. This is one of the most popular applications for Zehnder HRVs for both new construction and retrofits. Stale air is extracted from bathrooms, kitchens, and utility closets, and fresh air is supplied to bedrooms and living spaces. Urban areas, where apartment buildings and condominiums are common, can have highly polluted air. Zehnder HRVs filter the intake air, removing many common pollutants. There is a strong connection between cognitive function and indoor air quality. Heat recovery ventilation reduces carbon dioxide levels and filters out many contaminants, helping promote greater classroom learning. Studies have confirmed the impact of indoor air quality on worker productivity and mood. Zehnder HRVs exhaust toxins and bring in fresh air for a healthier and more productive workplace. A proper ventilation strategy is essential for preventing the spread of illnesses and promoting optimum health and healing. HRV systems are ideal for hospitals and medical clinics where fresh air is essential.